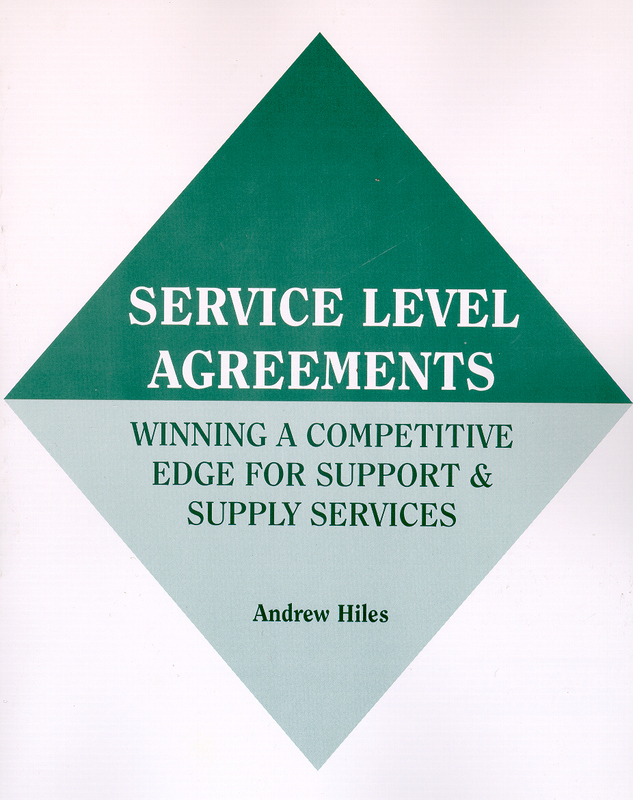 This classic book holds the key to creating enduring, satisfying and profitable relationships between customer and supplier with service level agreements. It shows how both internal and external services and supply can be aligned to meet business vision, mission, goals, critical success factors and key performance indicators. The techniques described will help you balance service cost against quality, leading to competitive advantage and business success. They can be applied to any industry, to any supply or support service. They have been used by leading companies internationally – and they work! A service level agreement is the tool which ensures delivery of consistent, ap­propriate and timely service quality to meet the business need at the right price. Frequently new technologies demand new, creative, methods of management. Oc­casionally these new management models have the potential to enhance the effec­tiveness of business areas never envisaged when the management method was originally devised: they are transferable. One of the classic cases is the transfer of engineering management disciplines, for instance quality assurance and quality control (and more recently total quality management – TQM). Quality disciplines have permeated from the factory floor into virtually every area of corporate operations and been universally embraced by world class organizations. Those first to seize such opportunities gain efficiency, effectiveness and, fre­quently, competitive edge. But all too often, organizations simply react when they see more alert competitors gaining advantage and the new techniques are imple­mented merely out of defence. They are used as a band-aid when the cure is a transplant. The opportunity is rare – to identify and adopt such new concepts for competitive edge. The dynamic world of information services, combining explosive growth with corporate dependence, has had to create new methodologies to contain costs and manage service. One of the key methods employed by the leaders in information services management is the use of service level agreements. While a contract will govern the legal and commercial aspects of service provision it cannot effectively govern the day-to-day delivery of the service quality — and con­tracts are irrelevant to in-house service providers. Many corporate services are overheads — not profit earners, but profit dissipators. How can their cost be controlled — or better, reduced — while preserving acceptable quality? Using case studies and examples, this book explains how service level agreements, born to meet the challenges of a new industry, can be translated as a practical management tool in any service environment, and provides a blueprint for their implementation. A Rothstein Publishing Classic Backlist title. 2000, 316 pages. Andrew Hiles is a Fellow of the Business Continuity Institute and a Member of the British Computer Society. 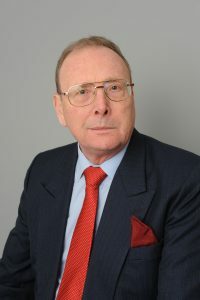 Andrew was founder Chairman of the influential European Information Market (EURIM) group which supports the UK Parliament’s All-Party EURIM Group in handling European legislation. His first book on Service Level Management was published in 1991; his second book in 1993. He contributed to Croner’s Guide to IT Purchasing. His software package, SLA FRAMEWORKâ„¢, has been purchased by leading international companies. Starting his I.T. career with the Royal Air Force in programming and systems, Andrew moved to London Transport in an operational role. Later, in their Central Productivity Unit and subsequently as I.T. Projects Manager and as Manager of the Business Process Re-engineering function, he led several major technical and organisational reviews involving the reorganisation of key functions of London Transport. From there he moved to the Post Office as their first Business Systems Consultant with responsibilities for major projects. Subsequently as Computer Services Manager at Harwell Laboratory h e provided supercomputing, mainframe, midrange and client / server bureau services and operational support of mainframe and midrange installations that Harwell facility managed. He also had Customer Support and Quality Assurance responsibilities for the Datacenter. Andrew is a Director of the Kingswell Partnership of I.T. Consultants – an international consultancy specialising in delivering service and managing business risk. He has helped hi-tech, financial, transport and government bodies to develop and enhance Customer Support and Service Desk functions and has supported both customers and suppliers in Service Level Agreements, Market Testing, Outsourcing and Facilities Management. Andrew is a published writer and international speaker on service management. He has presented at Cranfield, Henley, Ashridge and GEC Management Colleges and at numerous conferences in Europe, USA, Southern Africa, the Middle East, Hong Kong, the Philippines and New Zealand and Australia. He has broadcast on IT topics on radio and television. “The concept of service level agreements for all businesses is a topic whose time has come. This book is a complete blueprint on the subject.” – Paul F. Kirvan, Management Consultant, Paul F. Kirvan Associates, USA. We take service departments for granted – or at least, we used to: Personnel; Accounts; Purchasing; Stores; Legal; Catering; Training; Estates; Facilities Management; Cleaning; Secretariat; Engineering; Public Relations – all those and more may be part of our business infrastructure. Increasingly, in-company services are seen as utility services just like electricity or water. These days, utilities world-wide have increasingly become privatized -expected to fund themselves as commercial entities rather than be provided by governments. Similarly, the cost of our organization’s support services is increasingly challenged. Value for money is being insisted upon – but how do you measure it? In-company services are increasingly expected to be self-sufficient, at least recovering costs from customers, rather than being provided as a corporate service as part of the overhead costs. With the supply of any utility, the customer expects a defect-free service, available 100% of the time, at a reasonable cost. A utility service implies a limited range of standard products – but this may be in direct conflict with the increasing technological or legal complexity with which the service supplier has to cope in supporting customer demands for a greatly increasing range of services. The service supplier is often trying to cover too much ground with too few resources: the supplier needs to standardize and prioritize service offerings. Often this ‘utility’ logic is not extended to the provision of in-company services. You know what the tariff rate is for power, gas, fuel oil and all the other utilities. The price may depend upon your negotiating power – but you know what you are getting for your money. You can measure the consumption of these services in terms of efficiency and select the appropriate quality – premium unleaded gasoline for instance. Your organization specifies the quality it requires for any consumable that it uses. This makes sense: buying goods of a higher quality than you need wastes money. Support services are overheads – and typically it can take up to ten million dollars of sales to cover the cost of one million dollars of overheads. A look at your profit margins on turnover will illustrate this. When the in-company service was first established, its size and scope was agreed upon. Its capacity was defined and throughput requirements may also have been stated. But there are many other aspects of the service that frequently are not quantified. Often the service requirement has not been recently checked back with the customer so that the changing customer requirements may not be expressed in the current service specification. The service provider may be faced with increased demand and no additional resource to cover it. All this can lead to a miss-match of expectations between the end customers and the support service provider. The end customer perceives that the service is ‘poor’. Response to requests may be ‘slow’. Support may be ‘patchy’. All these are unquantified – but they suggest a background noise of customer dissatisfaction with the service – especially vocal if the end user is a paying customer. It is all too easy for the service manager to assume the customer’s perception is wrong: it cannot be wrong! It is the customer’s perception and will remain so until it is changed. The service manager, being frequently more analytical than the customer, will doubtless be measuring certain aspects of the service which are perceived as key performance indicators. As long as these are at worst consistent and at best improving, the service manager may believe that a good service is being provided. This service may not however be what the customer wants! So how do we align the service to the needs of its customers?